Dunlop Tortex Standard Guitar Picks Red 12 Pack: .50 mm The pick used by top musicians worldwide. Tortex' picks are carefully designed and manufactured to give the characteristic maximum memory and minimum wear that made original tortoise shell famous. 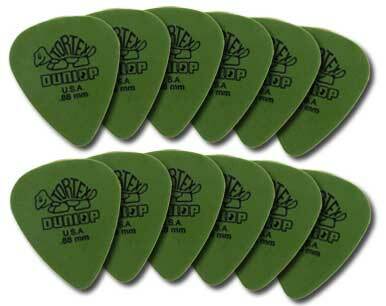 Dunlop Nylon Jazz Guitar Picks feature a small, broad grip with a 1.38mm tip for specific player preference. Who's Using These Picks? Eric Johnson Mick-Slipknot John Petrucci-Dream Theater Billy Howerdel-A Perfect Circle Sarah McLachlan Benji Madden-Good Charlotte Dolores O'Riordan-Cranberries Radiohead Troy Van Leeuwen - Queens Of The Stoneage Michelle Branch Johnny Marr Jane Wiedlin - Go Go's Dunlop Manufacturing produces many different types and sizes of plectra (or picks as they are also named) to suit the varied preferences of today's musicians. 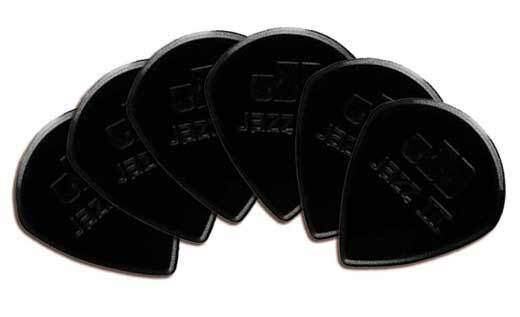 Dunlop's wide variety of gauges, shapes, sizes and materials allows the player to select the exact pick for his/her own particular style of playing. 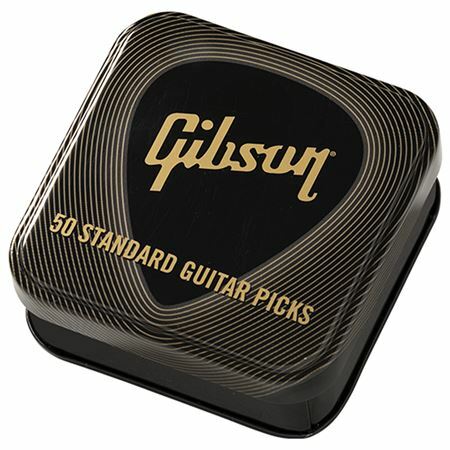 TheÂ Gibson Standard Guitar Picks 50 Pack are made from quality celluloid in the classic 351 shape. For the first time ever, these choice Gibson guitar picks are available in a quantity of 50, and come encased in a special Gibson collector's tin.